By Atomia , on 22.2.2012. 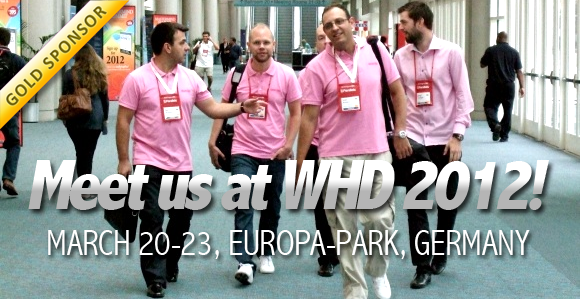 On Thursday the 22nd of March, Jimmy Bergman, our Lead Developer and System Architect, will enter the main stage at WHD.global to talk about our experiences from a large scale DNSSEC deployment. Don’t miss this opportunity to listen to one of the most respected Domain & DNS specialist from Sweden and learn more about DNSSEC automation/deployment. Atomia will also have a team of hosting automation experts in place to talk about Atomia Hosting Automation Platform. If you want to know more about our products or discuss hosting automation in general, don’t hesitate to contact us in advance and book a meeting. How to spot the Atomia crew among thousands of visitors? Just look for the pink shirts! By Atomia , on 21.2.2012. A few weeks back, we built a simple Web App to accompany Atomia DNS. It is build in Node.js and Jade (Node Template Engine). Check out the screen shots after the break! By Atomia , on 20.2.2012. As of today, you will be able to install and use Atomia DNS for free. And what’s even better, you can contribute to the development of the product, which is released under the ISC license. Atomia DNS is a DNS management software with DNSSEC support out of the box. It comes packed with a simple to use, yet, powerful API and can easily be integrated with any system. 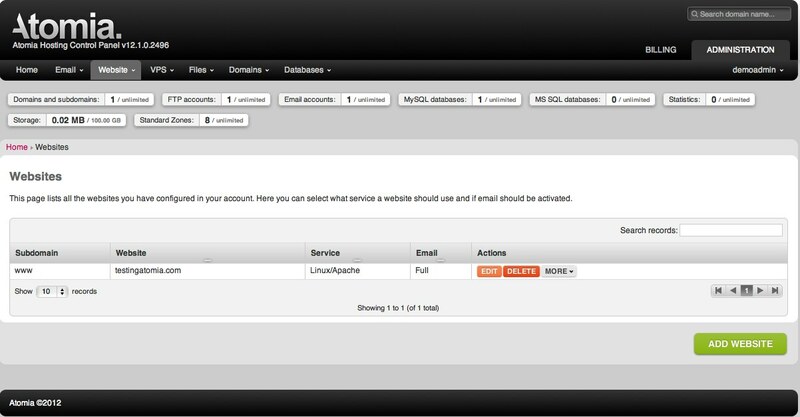 For the occasion we have built a simple web application (in node.js) for those who prefer a GUI to manage their zones. Of course, we provide a command line client as well. Atomia DNS was earlier exclusive to Atomia Cloud Hosting Platform and has gained publicity thanks to its robustness and effectiveness during the roll-out of DNSSEC for the Swedish TLD (.se). By Atomia , on 16.2.2012. In this video we will walk you through some of the cool features of Atomia Hosting Control Panel. We will show you the Website Hub, Atomia Domain Manager and Atomia VPS Manager. By Atomia , on 13.2.2012. Even though Atomia comes out of the box with control panels to manage your services there might be times when using the command line to control Atomia is a better alternative. For this use case we have created a Command Line Client for use with Automation server (available as open source on Github). The client is written in Python and can be installed on most platforms.